As organizations continue to seek out advanced solutions for protecting their business-critical applications, I’m proud to join the leaders in such an innovative industry. Onapsis, the global experts in business-critical application security, today announced that Andrew Foxcroft has joined as Vice President of Sales, EMEA. Foxcroft most recently served as Global VP Channels and Emerging markets at Veracode, focusing on acquiring strategic business. His experience in business development management will help Onapsis to continue establishing market leadership in key vertical segments across EMEA. “Andrew’s experience securing strategic clientele makes him the perfect fit for Onapsis. Our company will greatly benefit from having him contribute to our long term growth as we continue to transform how organizations protect their most critical business assets,” said Mariano Nunez, CEO and co-Founder of Onapsis. 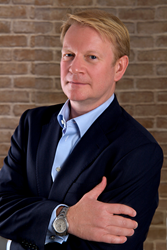 Prior to Veracode, Foxcroft held the position of Vice President, EMEA, for cyber-security start-up BlackRidge, as well as EMEA Sales Director at Arcot where he tripled revenues in EMEA over four years. In Foxcroft’s earlier career, he held several leadership and sales roles for enterprise software companies, helping them to establish high-growth, go-to-market strategies and to expand internationally. “With the heightened focus around SAP cybersecurity over the last few weeks, this is a very exciting time to join Onapsis. As organizations continue to seek out advanced solutions for protecting their business-critical applications, I’m proud to join the leaders in such an innovative industry. I look forward to contributing to the hyper-growth of the company,” said Foxcroft.